and not spending enough on each. 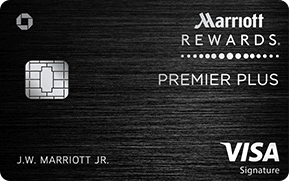 When Marriott and SPG combined last August, Marriott moved to place an absolute maze of limitations on eligibility for the Chase Marriott cards and the American Express SPG cards. The rules are fairly clear on each application’s landing page, in so far as you may need a degree to read and make sense of them – but they are there. As an example, you can’t get the SPG Amex card if you have or have recently the Marriott Rewards Premier Plus credit card. Between all the old and current and soon to be launched Bonvoy cards, it certainly causes a headache and even I have trouble remembering who is eligible for which without a cheat sheet. So it’s welcome news that Chase is now advising you before you apply and before you have a hard credit inquiry if you will be ineligible. That will save many people a wasted hard pull, so this is very welcome news indeed. Through Feb 20th, 2019, you can get a 25% bonus on transfers from Citi ThankYou to Turkish Airlines Miles and Smiles program. But should you? The upside is that you can book Star Alliance with Turkish miles and there are, as in most programs, some sweet spots like 90,000 miles round trip from the US to Europe with a stopover. However, Turkish applies fuel surcharges all over the map, even on carriers without fuel surcharges, and you have to book Turkish partner awards via an in-person office.That is surely a deal breaker for many. There are reports of people having success with phone or email ticketing, but it’s personally a hassle I wouldn’t want to deal with myself. Still, it’s nice to have Citi have another one of their increasingly common transfer bonuses and I hope they continue. I’m personally rooting for another Avianca one. I never transfer speculatively, so I missed the last one, but now that I have an award in mind…. What are your thoughts on these offers? Let me know here, on Twitter, or in the private MilesTalk Facebook group.